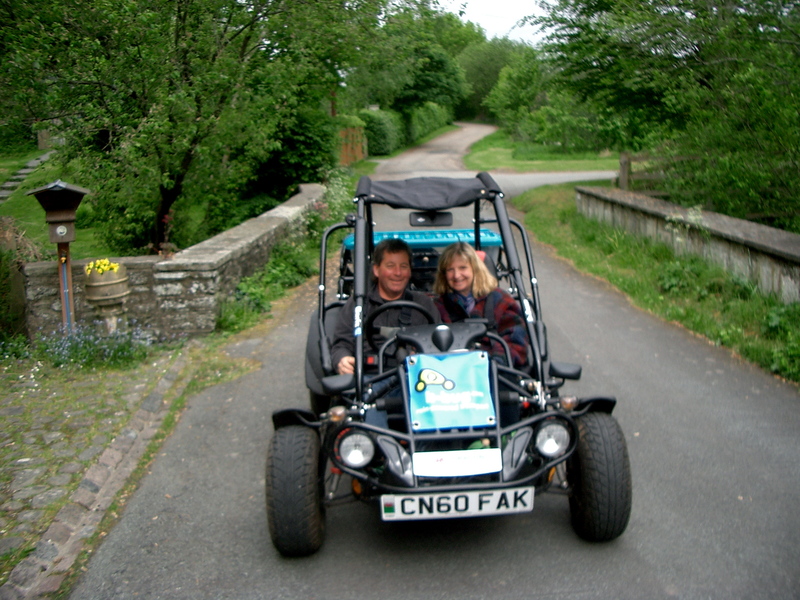 Our trial of electric road legal buggies (b-bugs) in the Brecon Beacons National Park has come to an end, the results are all analysed and the trial report published. Given its success, we are now busy exploring ways in which b-bugs could become a reality for visitors to the Brecon Beacons. . But, we’ve currently hit a bit of a wall. We are struggling to find a company who will insure the b-bugs for self-drive hire. The b-bugs are type approved by the DVLA and straightforward to insure for private use. The trouble is the buggy insurance companies don’t do rental insurance. Conversely, vehicle rental insurance companies don’t cover non-standard vehicles like buggies. The frustration of finding a solution is made worse by endless calls to insurance companies who are intent on asking their prescribed set of questions (‘are you married?’ ‘what date do you want to start the insurance?’) in order to find you the cheapest quote. I have yet to find how to engage them in a dialogue which doesn’t revolve around such questions! So, we are going to have to think creatively and the good news is that recent psychology research suggests that that is exactly what the brain is good at when confronted with a constraint or barrier. Because of its rich connectivity, the brain normally puts a lot of energy into ignoring ‘spurious’ information and links – otherwise we’d never get anything decided or done. Insurance doesn’t feel like an obvious candidate for stimulating creative thinking but I’m writing this hoping that, in the meantime, some part of my cortex is digging out some totally spurious unconscious connections. And, once I’m done, I shall go and lie down flat because that too is meant to help. This entry was posted in Psychology and tagged b-bug, buggy insurance, creativity. Bookmark the permalink.